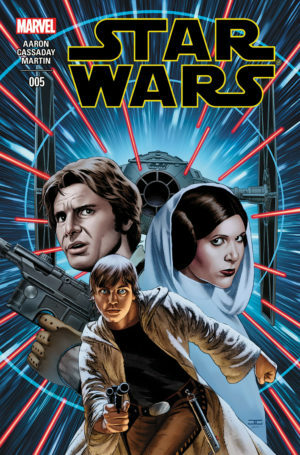 The guide to collecting Star Wars Expanded Universe comic books, the current in-canon comic books released by Marvel. Find omnibus, hardcover, and trade paperback in reading order. Part of Crushing Krisis’s Guide to Collecting Star Wars Comics. Last updated November 2018 with titles scheduled for release through July 2019. 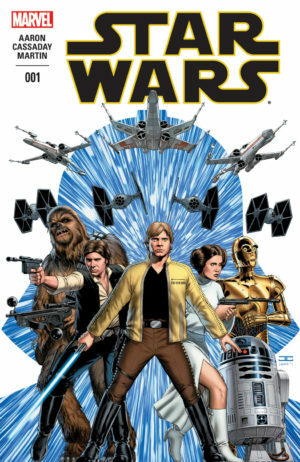 Marvel regained the license to print Star Wars comics in 2015 and launched the new Extended Universe with a big bang in the first weeks of 2015 – twin Star Wars and Darth Vader series set between A New Hope and The Empire Strikes Back. Both series were critical and commercial hits. Marvel’s focus remained mostly on comics set just before and after A New Hope expanding on the adventures of the familiar cast of the original trilogies, to which they added Kanan – The Last Padawan, a prequels-era series that stretched in The Clone Wars. Then, in the weeks leading up to The Force Awakens, Marvel breached a new period of continuity with Shattered Empire – the first comic in the new canon set after the original trilogy! After The Force Awakens, Marvel began to spread out into other periods, with Poe Dameron further extending the decades after Return of the Jedi and series set earlier in Darth Vader’s time as a Sith Lord – still, all set within the time bounds of the film series. See A New Hope for placement in continuity. Collects material from trade paperbacks Vol. 1 and 2. Collects material from trade paperbacks Vol. 3 and 4. This is solicited to include Annual 2, but is much more likely to contain Annual 1, which was collected with #15-19. Collects material from trade paperbacks Vol. 5 and 6, omitting material from The Screaming Citadel crossover. 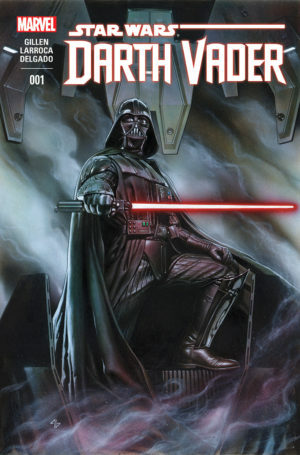 Collects the complete Darth Vader series from five original trade paperbacks! It includes Darth Vader (2015) #1-25, and a crossover with Vader Down #1 and Star Wars #13-14. This series begins prior to Force Awakens and extends to fill in events during the film. The solicit does not include issue #7, but it was the start of this story arc. Also collected in oversize hardcover in Star Wars: Heroes For a New Hope along with Lando (2015) and Princess Leia (2015). See A New Hope for placement in continuity. Also collects material from Star Wars Tales #7-9. This was the final Dark Horse Star Wars comic, adapted from unproduced scripts of Clone Wars – which places the story after Darth Maul’s apparent death at the end of Episode I. For a few years, its Dark Horse collection (ISBN 978-1783295166) was sold for astronomical sums, as it was relatively short-printed (especially compared to Marvel books)! Reprinted in 2018 alongside Star Wars (2015) #8-12 as Han Solo (ISBN 9781302912109). See A New Hope for placement in continuity. Han Solo – Imperial Cadet #1-5: Star Wars: Han Solo – Imperial Cadet tells the story of Han’s early years. Also collected in oversize hardcover in Star Wars: Heroes For a New Hope along with Chewbacca (2015) and Princess Leia (2015). See A New Hope for placement in continuity. Also collects Star Wars Special: C-3PO #1: The Phantom Limb. Also collected in oversized hardcover. 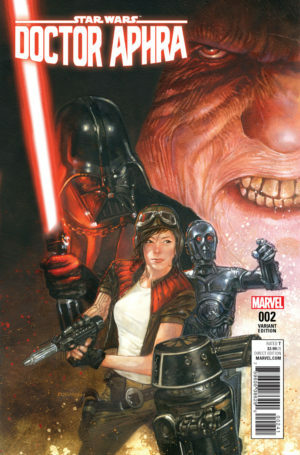 Star Wars: Shadow of Vader #1-5: Star Wars: Shadow of Vader, story of Vader’s earliest days as a Sith Lord. Star Wars: Thrawn, Book One is a direct adaptation of the new Extended Universe Timothy Zahn Thrawn novel. Collects Star Wars: Vader Down #1, Star Wars #13-14, and Darth Vader #13-15. See A New Hope for placement in continuity.